made many a critic’s top ten list for 2009. 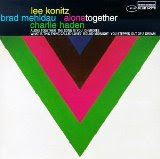 On this appearance, Mr. Konitz and Mr. Turner were joined by Ethan Iverson (of The Bad Plus fame) on piano, Ben Street on acoustic bass and the veteran Albert “Tootie” Heath on drums. I arrived to the club early with a friend and was seated stage left when as fortune would have it Mr. Konitz came walking from behind the stage and sat right next to our table, looking to have a bowl of soup prior to his first set. After negotiating with a waiter to get him the mushroom bisque (an excellent and flavorful choice), Mr. Konitz was gracious enough to stay and talk. My first impression of the man was that at the age of eighty-two he was remarkably sharp and engaging, in a way that belied his age. It became clear that he was uninterested in re-hashing what he had done in the past. As he said “Reminiscing doesn’t go well with soup.” He is an artist who prefers to live in the present; looking forward being a key to his creativity. Mr. Konitz has led several groups in the past, but for the most part he considers himself a sideman. The economic imperatives of the business have necessitated that he assemble musicians from various locales wherever he appears. The frequent influx of new musical plasma via these associations has been a source of inspiration for Mr. Konitz. Because he insists on unstructured spontaneous improvisation however, not all pairings with other musicians are successful. On this evening he related how during a recent appearance with pianist Brad Mehldau, the bassist Charlie Haden and percussionist Paul Motian, the musical communication was especially “in-sync”, so much so that he felt it was a near euphoric experience. Mr. Konitz was extremely forth coming about who he admired and who he felt as he said “…played too many notes”. His economical use of notes springs from his refusal to pre-arrange what he is going to play in any predetermined or predictably patterned way. I was taken by the journeyman way Mr. Konitz seemed to approach his craft. Dressed in a tan jacket that reminded me of the type of garment worn by a machinist or a precision watchmaker, he was unmistakably ready for work. The first set started off with a composition titled “Solar”. Often attributed to Miles Davis, Mr. Konitz was sure to point out that it was really a Chuck Wayne composition (based on the song “Sonny”). Mr. Konitz and Mr. Turner immediately commenced with an intuitive display of subtle interplay, the two saxophones at times meshing and at times veering off into opposite directions but always maintaining a sense of the melody. A smiling Mr. Heath seemed to enjoy prodding the group with an array of hi-hat accents and rolls interspersed throughout, all the while maintaining his rhythmic continuity with Mr. Street. When Mr. Turner soloed he did so with a gentle waterfall of notes played in a deep mellow tone. 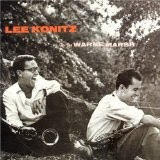 When he played with Mr. Konitz his cadence was particularly well matched with the journeyman’s own. The second song in this set was a Tristano composition titled “Naidu”, where Mr. Konitz and Mr. Turner once again showed a rare affinity for being able to feed off each others changing ideas. With telepathic skill they delivered these sympathetic thoughts independently and still presented them as one homogeneous statement. Mr. Turner is a tall, thin player that tends to bend at the knees when he is playing. He compresses then elevates himself vertically during his solo excursions. His lanky appearance further accentuates his elastic playing. His notes are supple and warm and they stretch into and out of tension. Mr. Konitz by comparison offers a sturdy and compact profile that generates great energy from deep within his center. He sways slightly from the waist to the rhythm of the song. He thoughtfully contemplates what his next note will be based on what he is hearing from his fellow musicians, consequently always playing slightly behind the music. On “My One and Only Love” pianist Iverson, who for the most part was quietly laying back in deference to the Maestro, played a nice duet with both Konitz and Turner. Mr. Konitz has an impatient streak to him and he frequently and precociously interjected unexpected ideas during Iverson and Turner’s solos. On “I Remember April” Turner and Konitz once again showed compatibility playing together in beautiful concert. Konitz played with a brightness that was sharp and vibrant. Turner responded with a deferential, lower register tonal burst that intertwined itself into and around what Konitz had just played. Iverson was by now more comfortable soloing with a passionate release of cascading notes that spurred Mr. Konitz on in the best interchange between the two of the performance. On the final song of the set “What Is This Thing Called Love”, Mr. Iverson played in a percussive rhythmic style that was reminiscent of his work with his regular group The Bad Plus. Playing as Mr. Konitz does, with no safety net, is a formidable task for most musicians, many of whom are used to having the material more worked out in advance. Mr. Street and Mr. Heath skillfully provided the rhythmic balance that allowed the two lead saxophonists the freedom to freely express themselves in this format. 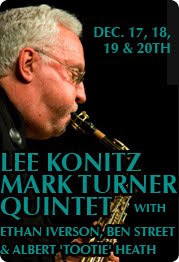 Mr. Konitz, who continues to thrill with his beautiful tone, his quiet energy and his inexhaustible creativity, has found in Mr. Turner the perfect foil whose tone, cadence and delivery is compatible with his own and whose musical inquisitiveness is equally inspirational. Tony Malaby has gained notoriety as an avant-garde saxophonist who has daringly utilized multiple palettes of instrumentation to achieve the sound that he wishes to explore. This quest has made for some interesting pairings with artists such as guitarist Ben Monder, drummers Michael Sarin and Nasheet Waits, tuba player Marcus Rojas and cellist Fred Lonberg Holm. In each instance Malaby seems to breathe fresh inspiration from the wellspring of sounds these various stylists can bring to his musical table. The Cornelia Street Café is a little gem of a club on Cornelia Street off Bleeker in the West Village, NYC. I had not been there in sometime but was familiar with the narrow lower level and the comfortable vibe of the place. 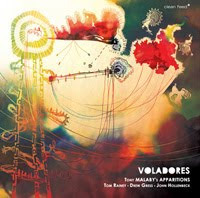 On this evening Mr. Malaby's group-the second iteration of this group- featured songs from their new cd titled Voladores. They brought instruments that included toms, snares, cymbals, bells, chimes, toy xylophones, multiple mallets and assorted percussive instruments of the two drummers, Tom Rainey and John Hollenbeck (who replaces Michael Sarin from the first album line up), along with the double bass of Drew Gress and Mr. Malaby’s saxophones. Playing in a zone is a good way to describe what Malaby does. His musical conceptions seem to be loosely structured. They are mere skeletal armatures on which to build his creations. He and his fellow musicians breathe life into each composition as they add layer upon layer of skin, sinew, nerve and flesh. They organically, through improvisation, create the music you hear. The group led off with an Ornette Coleman composition titled “Homogenous Emotions”. Here Mr. Malaby showed his ability to emit bellowing deep tones or switch to high-reaching screeches on his tenor with ease and fluidity. On “Old Smokey” the group showcased how deftly they could telepathically negotiate multiple time changes. The creative juices were flowing for Hollenbeck, who on what appeared to be a child’s xylophone, created the eerie sound of swarming locusts as he played the unlikely instrument with seed filled mallets. Hollenbeck was especially mesmerizing as he utilized a variety of instruments in his percussive arsenal creating an at times surreal groundwork. This allowed Malaby the option to soar or ponder on both tenor and soprano saxophones as the mood suited him. The powerhouse bassist Gress and drummer Rainey provided what bottom the music allowed. Gress, at times, seemed unsure of what direction the music was taking him, but his arco work was particularly well matched with Malaby’s deeply toned tenor on the aptly titled “Dreamy Drunk”. On “Sour Diesel” Gress played a repeating bass line as Malaby played soprano saxophone and Hollenbeck played what appeared to be a combination of bells and a breath-actuated keyboard. The unusual sound that Hollenbeck produced was a most effective counterpoint to the soprano. By about halfway through the song, Malaby had switched to tenor where his performance was the most poignant of the evening. The group ended the set with the title composition from the new release“Voladores”. As an avant-gardist Tony Malaby’s concepts are daring, musically challenging, and worth experiencing. They can certainly be outside the comfort zone of those looking for modern music that is still lyrically and rhythmically traditional in its approach. Malaby’s music however represents a dynamic, restless spirit that continues to push the boundaries of what music is supposed to be. From such explorations great things can come. With the members of Apparitions he has found like-minded musicians that can allow him to realize this musical vision. As the year draws to a close I am compelled to mention some of the other fine music that I have heard this past year. Following on the heels of my top five piano based jazz cd's, the following selections each have provided their own special magic for me. As I previously explained these selections are only taken from what I have heard and so my apologies to the artists whose great works I simply didn't have the chance to review this year. David Binney (composer and alto saxophone); Craig Taborn (piano); Scott Colley (acoustic bass); Brian Blade (drums) Brass Section : Ambrose Akinmusire (trumpet); Brad Mason (trumpet, flugelhorn); Corey King (trombone); Andy Hunter (trombone). This album plays like an extended musical suite. Binney shows his creative talents as a noteworthy composer. His powerful and emotional alto saxophone continues to be a modern and distinctive voice that stands out amongst his peers. Colley and Taborn anchor the proceedings, allowing Blade the opportunity to weave his percussive magic.The effective use of brass adds a dimension to this music that brings it into the realm of orchestrated jazz with a bite. Listen to Binney and Blade skillfully building the tension on Squares and Palaces.Binney has presented an artful offering with promises of more to come. 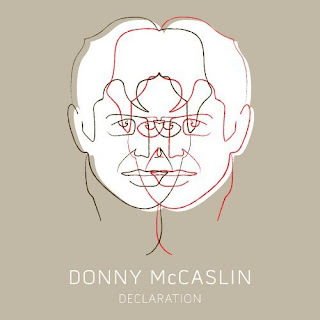 Donny McCaslin has been one of a new breed of tenor saxophonists that have taken up the mantle left by the late Michael Brecker. He has been an integral sideman for many of today's most creative bands and now is bursting into his own as a formidable solo artist. He possesses a fiery delivery that is not just bluster but a true extension of his inner burning flame. With Declaration he has made a brilliant, swinging and at times inspiring record of unusual beauty, passion and warmth. (acoustic and electric guitars);Orlando Le Fleming(bass);Clarence Penn(drums);Gregoire Marmet (harmonica); Gretchen Parlatto (voice). 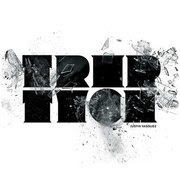 As a debut album, Triptych, is simply way above anything else I have heard from a new artist. Young Vasquez shows some real moxie on this creative, intelligent and enjoyable maiden voyage. He utilizes the voices of his various musicians very effectively. Vasquez is joined by a stellar group of musicians who organically weave his compositions into beautiful and coherent pieces of music. Special note to Adam Rodgers' wonderful guitar work on Nimbus. Gretchen Parlatto's haunting vocals on Triptych and Aaron Parks' sympathetic work throughout. An artist that we should be looking to for great things to come in the future. James Moody (Tenor Saxophone); Kenny Barron (piano); Todd Coolman (bass); Lewis Nash (drums). From the start of this album, with his playful but robust rendition of Secret Love you know you're in for a treat by a master. Moody's smooth, full toned saxophone is a pleasure to behold. He easily breathes refreshing ideas into old standards like 'Round Midnight, Stella by Starlight and East of the Sun making it obvious that he still has something to say in his inimitably joyful way. Moody is joined by the masterful Kenny Barron on piano and the fine rhythm section of Todd Coolman and Lewis Nash. These guy know and respect the tradition and it shows. At age eighty-four Moody is the keeper of the flame. Based on his mellifluous playing, (check out his easy swing on Kenny Barron's Voyage) the flame will be burning for quite some time within him. 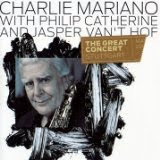 Charlie Mariano with Philip Catherine and Jasper Van't Hof: The Great Concert (ENJ-95322). With the passing of the great tenor saxophonist Charlie Mariano this year, the jazz world sadly lost one of it's truly creative voices. With this posthumously released live recording of this wonderful concert, we see the unbridled passion that Mariano could release from his horn at the ripe young age of eighty five! Beautiful to behold. Unfortunately for most American listeners, Mariano made his home in Europe since the early seventies. Many of us were deprived of seeing his penetrating artistry first hand. On this last concert, recorded in Stuttgart,Germany in May of 2009 with the wonderfully empathetic guitar virtuoso Philip Catherine and the pianist Jasper Van't Hof we find Mariano in a most pensive yet powerful mood. His voice is bright, clear and brimming with emotion. An extraordinarily powerful piece of music and a fitting epitaph to a lifetime of fine music. First and foremost I want to say how impressed I have been with the quality of offerings that I have had the chance to preview this year. Most of these selections come from musicians that fly far under the radar of the general listening public. Admittedly there are many fine albums, many by more established artists, that I have not had the opportunity to listen to or review. Consequently my list in no way attempts to represent a very best of 2009 but simply the best that I have had a chance to hear. With that caveat firmly established here are some of my favorite cds from this year. Lawrence Hobgood with Charlie Haden and Kurt Elling When the Heart Dances (Naim CD112) Exquisitely recorded by Ken Christianson, this album awakened my consciousness to the beauty of the playing of pianist Lawrence Hobgood. The under appreciated Hobgood has for years been successfully accompanying and arranging with vocalist Kurt Elling, who joins him brilliantly on three songs on this album First Song, Stairway to the Stars & Daydream. His poignant collaboration with the noble, warm bass of Charlie Haden is notable especially on Que Sera Sera, When the Heart Dances, Why Did I Choose You, New Orleans & The Cost of Living. His unaccompanied piano plays like a reverential benediction on his own compositions, Sanctuary & Leatherwood. A fine album from a pianist who we hope to hear more from in the near future. Pianist Marc Copland has had a prolific year with several releases that all merit close attention. 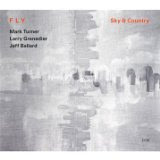 My favorite, this year, showcased the brilliant and sensitive Copland with a powerful trio made up of the buoyant Drew Gress on bass and the ubiquitous Bill Stewart on drums. There is a wonderful exhibition of subdued introspection-ala Bill Evans-on Copland’s three solo deconstructions of the touching Johnny Mandell song Emily. His treatment of the Julie Styne standard I Fall In Love Too Easily is equally moving. The eruptive force of Stewart’s drums and Gress’s elastic bass are perfect foils to Copland’s probing piano musings. On Gress’s Like it Never Was the interaction is moving and spookily telepathic. The album features three Copland compositions the somnambulistic "The Bell Tolls" along with the title tune "Night Whispers", and his visual "Scattered Leaves". An unusual take on the familiar Miles Davis classic "So What" is icing on this cake. 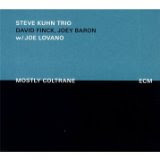 In celebration of a brief collaboration between Kuhn and saxophone titan John Coltrane back in 1960, pianist Kuhn has offered an inspiring album of rare warmth and elegance.The pianist carefully chooses a series of Coltrane tunes that are more in line with his own melodic sensibilities including Welcome, Song of Praise, Living Space, Central Park West, Configuration, Jimmy’s Mode and Spiritual. The tenor saxophonist Joe Lovano, channels the spirit more than emulates the sound of Coltrane, and is featured on several compositions. Lovano is in top form and he and Kuhn can be especially poignant in their interplay.The rhythm section of David Finck on bass and Joey Baron on drums play with a respectful yet powerful energy. Kuhn’s ability to wretch emotion from his keyboard is touching on Crescent. On the free flowing treatment of Like Sonny, the entire group achieves a truly remarkable flow of oneness. Kuhn takes another run at his own composition Trance from his 1975 album of the same name. This time around he chooses to play the ostinato based melody solo. He delves more deeply into the nuances that he can produce from its core theme rather than concentrating on the driving, rhythmic nature of the original song. An interesting retrospective look at a song that I always found compelling. Kuhn is a treasure and with this album he has re-established himself as someone who is still at the top of his game. 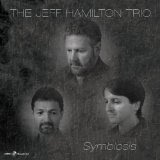 I know, I know the Jeff Hamilton Trio is lead by the very talented drummer Jeff Hamilton, nonetheless with Chris Luty on bass and the marvelous piano of Tamir Hendelman, it makes my top five of piano based Cd’s for 2009. This album swings on songs like You Make Me Feel So Young or Fascinating Rhythm . The music can also pull at your heartstrings, like when Hamilton’s wellspring of ideas on drums spurs on Hendelman to pianistic magic on Midnight Sun. Luty’s inspired arco bass work and Hamilton’s airy brush strokes, on the somber Claus Ogerman composition Symbiosis is perfect for the pensive, classically inspired piano of Hendelman. Blues for Junior and Blues in the Night are straight ahead blues with no excuses. A pleasurable musical experience throughout. I am sure this is not everybody’s cup of tea, but I enjoyed Easy Company a great deal. With unusual choices in material like the John Williams composed Star Wars inspired Imperial March to a hip treatment of the Cream classic White Room, Messers Epstein, Carothers and Cox stir up a convincing pot of piano based trio music that is surprisingly fresh. No two treatments are alike and the trio manages to push each other along to unexpected heights and around blind corners without any deleterious effects. Check out the emotionally evocative treatment by Cox on bass and Carothers on piano on Never Let Me Go. Carothers is an interesting, restless soul of a pianist who is hard to pigeonhole. 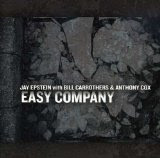 Epstein and Cox are equally creative with something to say. They truly make for Easy Company. The entire album has the raw feel of a garage band recording where the musicians are serious about their craft but are having fun, prodding each other on and seeing where it takes them. It’s a fascinating ride that is worth the trip. Check out my live performance review of Ravi Coltrane with Gerri Allen Trio at the Iridium as published on All About Jazz.